Following ChemChina’s announcement of the purchase of German plastics machinery company KraussMaffei Group, another Chinese company, Haier Group, is set to buy GE’s appliance business for US$5.4 billion. The acquisition will be undertaken through Qingdao Haier, a Shanghai- listed company, which is 41% owned by Haier. The entire acquisition process will likely be completed by mid -2016. The two companies say that they will cooperate worldwide to expand their reach in healthcare, advanced manufacturing and the industrial sectors. GE almost sold its appliance business to Swedish electronic company Electrolux, which made an offer of US$3.3 billion. But the deal fell apart following claims of “unfair competitive advantage” by the US antitrust regulators. GE also stands to receive a US$175 million break-up fee from Electrolux. However, Haier is not expected to come under similar protest, since Haier owns a very marginal market share in US, according to market analysts. But if it does, it would be required to pay US$200 million to US$400 million to GE as compensation if the deal falls apart due to failure to obtain approvals from antitrust regulators, Chinese regulators or the company’s shareholders. GE Appliances will remain headquartered in Louisville. The business unit reported US$5.9 billion in 2014 revenue. It has 12,000 employees, 96% of them in the US. Haier, headquartered in Qingdao, is the world's largest appliance maker, with a revenue of US$32.6 billion in 2014. Zhang Ruimin, Chairman/CEO, said that Haier is "committed to investing in the US." The sale by GE will allow it to focus on its industrial business, including jet engines and power turbines, instead of washing machines and finance, while Haier will be able to sell refrigerators, washing machines and other larger appliances overseas. 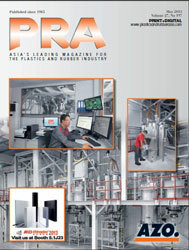 The Chinese company has been struggling for years to gain a stronger foothold in overseas markets. Haier said it would have the rights to use the GE brand for appliances for 40 years. Haier's acquisition is the third major overseas acquisition by Chinese companies in recent weeks. It is also the most expensive overseas acquisition by any Chinese electronic company to date, coming close to the US$3.8 billion purchase by Tsinghua Holdings of Western Digital Corp. 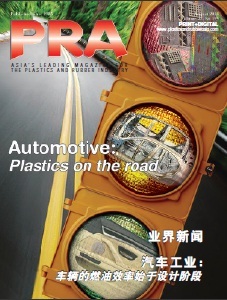 Recent acquisitions include the purchase of KraussMaffei Group for US$1 billion by a consortium of investors including ChemChina http://www.plasticsandrubberasia.com/jan2016/company6.html one of the largest Chinese takeovers of a German company. This was followed by Chinese conglomerate Dalian Wanda Group acquisition of production and finance company Legendary Entertainment for US$3.5 billion in cash, the largest deal to date between China-Hollywood.